The leader was said to be accompanied by other high ranking officials from the ruling Workers' Party of Korea. But as well as the absence of pictures, no date or venue for the concert were mentioned. The report highlights again questions over the state of the North Korean leader's health. While South Korea officials claim that Kim Jong-il suffered a stroke in August and has been seriously ill since then, North Korea keeps denying the stroke, maintaining that the leader is completely healthy. If what South Korea claims is true, it’s not clear who has been in control of the Asian communist state and its nuclear arsenal since August. On Wednesday The North Korean leader was reported by KCNA to have visited two facilities of the Korean People's Army. The leader was said to be satisfied with what he saw. Earlier, the agency reported how he had attended a football match. However, photos of Kim Jong-il, released recently, are said by some to raise more questions than answers. Analysts in the South said the pictures released in October of his visit to see female soldiers were taken several months ago, and well before Kim Jong-il's illness. Reuters quoted Japanese Prime Minister Taro Aso as saying that intelligence indicates that Kim Jong-il may still be in hospital, but in control of his state. 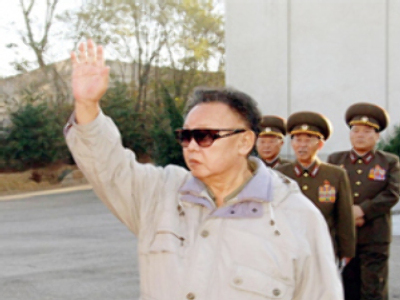 Kim Jong Il: dead, alive or using a body double?